If you want to succeed, here are the simple rules of SUCCESS you need to know. Discover how Arnold Schwarzenegger achieved his success...and you can, too. If you ask Arnold what the quickest recipe for bodybuilding is, he will tell you there is no substitute for hard work. His mindset coupled with daily strenuous exercises gave him that physique that you envy. There is nothing that motivates like success. However, when you are at the bottom of the process or your career, success is elusive. To this end, you need to live for your goals no matter how unrealistic they are. There is always that person who is higher on the ladder than you; someone stronger and bigger than you in bodybuilding. Follow these rules and you will be set for success. This worked for Arnold, his goals were not a secret. At the start of each year he wrote his goals, both short term and long term, on index cards. Buying a car, attaining his dream physique and starting a mail order business were short term. ​Wielding political power, marrying a glamorous wife, becoming a movie star and making millions of dollars were long term. What are your body building goals? Write your goals and live for them. Training is part of your life and should not be treated otherwise. Arnold believed that you need to rest between sets. However, through the guidance of trainer Weider, he started devoting most of his rest time in flexing (also known as the iso tension principle). ​This worked for him. Here is what you do. After your final set, continue hitting on the target muscle and flex to maximum contraction for at least 4 seconds. This ups the connection of myofibrils without any form of resistance. Posing and flexing, as Arnold noted, makes you stand out as a bodybuilder. Through flexing and learning to hold it for prolonged periods, he was able to improve the connection between his mind and his muscle. What lesson do you get from him? He broke the barrier between training and his life. He rested but did not stop to struggle to improve. In 1980, he came back to win the Olympia competition five years after he had retired. It is perfectly normal to you stay loyal to your favorite movements. Arnold liked incline bench presses, Arnold presses and concentration curls. He was not restricted by his preferences, however. Within these exercises, he switched grips, changed weight amounts, paired training for opposing groups of muscles, added reps and cut on resting time all together. According to his partner, Ric Drasin, changing worked for him. You have you goals and training is part of your life, add a touch of diversity and start realizing changes. You can start with smaller weights, then add additional weights. Convert barbell exercises to dumbbell movements and once a routine starts feeling familiar, change it. Arnold trained with many people at Gold’s. Notable was Franco Columbu standing at 5-feet-3. Statistics had shown that only big tall guys won Mr. Olympia, Mr. Universe and Mr. World. But Columbu broke the rules and proved the naysayers wrong. Arnold became inseparable from Columbu. He took after Columbu and pursued his dreams with eyes only on the goal. It is not what people say about your goals that matter but what you do with your goals. If there is something that is a deterrent to your bodybuilding success and people say you cannot make it, break some rules and find a solution. 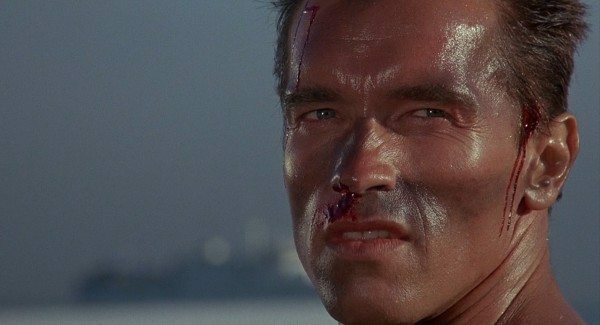 For instance, Arnold feared that no one with an accent had ever been a lead movie actor. However, he took accent removal classes and later became the world’s highest-paid movie star. In the 1960’s Arnold scandalized the bodybuilding community by talking about taboo topics such as grass and hash, whiskey in his protein shakes and a number of other topics. Never criticize yourself, but criticize your body. Always work to maintain your proportion and symmetry. Let it be real. Let your victories/achievements be your motivation. In conclusion, bodybuilding requires your input. 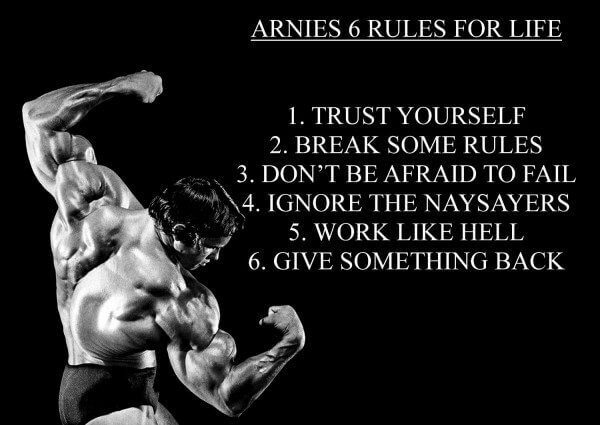 You need to work hard, ignore what people are saying, rise up after failure, try new methods, prioritize on your weaknesses and gain knowledge in bodybuilding to succeed the Arnold way.